Are the myriad of investor disaster relief guidelines accessible to your team? Are your systems smart enough to discern multiple default scenarios, process nuanced eligibility rules, track events in parallel and/or manage corresponding borrower communications? 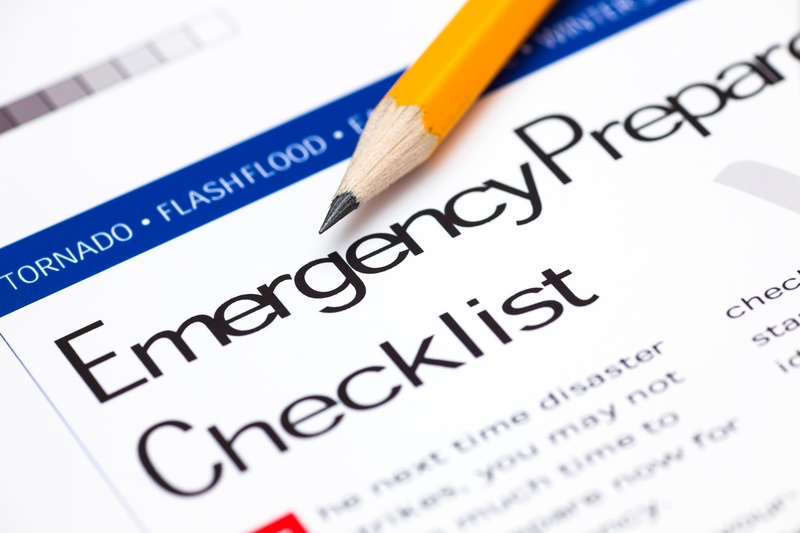 Are you ready to implement disaster relief processes on a moments notice? Is your staff trained to respond to borrower inquiries on relief options? Being disaster ready entails this level of commitment at the investor and state level. Investor relief programs for Fannie Mae, Freddie Mac, Federal Housing Administration (FHA), Veterans Administration (VA), U.S. Department of Agriculture (USDA) and Small Business Administration (SBA) each have recently enhanced disaster relief programs for borrowers facing default. Additionally, the extent of disaster relief continues to grow, with federal aid in 2017 nearly ten times that of the previous year, 2018 is on track to break another record. As of mid-October, the Federal Emergency Management Agency (FEMA), has issued “Major Disaster Declarations” for 32 of the continental United States and Hawaii, with 14 reflecting more than one major disaster this year. There have been eight “Emergency Declarations”, in 2018 including wildfires in California, hurricane Lane and tropical storm Olivia in Hawaii, hurricane Florence in North Carolina, South Carolina and Virginia, and hurricane Michael in Alabama, Florida and Georgia. Your personnel are your primary line of defense when disaster hits. Despite the availability of relief hotlines at both the state and federal level, borrowers are inclined to contact their servicer in times of disaster, and at a minimum your team needs to have a cursory knowledge of relief options and requirements. Once delinquency occurs, your default team will need a thorough understanding of eligibility guidelines, program waterfall, timelines, documentation needs, and communication requirements. With the pressure of meeting numerous relief parameters and urgency for homeowners, traditional training practices will need the support of automated processes to appropriately guide personnel and track progress. Personnel need easy access to scripting and FAQs, as well as program parameters and corresponding document needs. They need to know when to follow-up and hand off. Most importantly, management needs to be able to track and analyze these efforts in order to quickly identify and correct errors in communication, properly support customer needs, and prevent customer complaints. What are the insurance alternatives, flood insurance, homeowners insurance? What state and localities are impacted? Are there state and local aid options in addition to FEMA? Which investor relief programs apply? What does your portfolio mix look like in the affected area – conforming, government, small business? What relief programs are relevant? What are the workout thresholds and program parameters that apply? With so many alternatives and nuances, coupled with an extreme sense of urgency, there needs to be flexibility inherent in disaster change management processes. This entails a level of technical sophistication and resource talent that may not be readily available in all servicing shops. Traditional loan servicing systems are not designed to adequately support one-off processes like disaster relief programs. Additionally, even the most innovative solutions will not include the level of detail necessary to properly administer disaster relief requirements. This conundrum is commonplace in addressing nuanced industry processes. It is also why servicers often rely on manual workarounds to address all or part of programs until such time that their servicing system provider or internal IT staff can fully define and meet requirements. This is a hazardous approach that lacks the visibly needed to ensure controls are in place and is riddled with hidden costs tied to exception processing, cost overruns, and exposure to penalties and fines. The visibility to see across the administration of various relief programs is completely lost when manual processes are used. It requires sophisticated automation that is best incorporated into existing systems through workflow. Ensuring your disaster relief team is ready can be entirely managed with the right workflow partner. 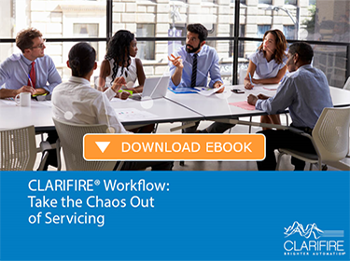 Whether you’re confirming preparedness in administration of training, overseeing change management processes, or enhancing system requirements, CLARIFIRE® workflow addresses each of these challenges in a manner that is consistent, flexible and traceable. Don’t let the complexity of today’s disaster relief landscape prevent you from being equipped to respond to your customer’s, investor’s, and regulatory agencies’ needs and expectations. CLARIFIRE® is designed to help you administer multiple programs, as well as manage corresponding communications and activities, on a single platform of rules that are prioritized, organized and automated. Not just for disaster relief, CLARIFIRE® provides a sophisticated workflow and loan decisioning platform that will automate and bridge processes across numerous relief programs and investors products. CLARIFIRE® creates efficiencies that drive requirements that need to be met, exceptions are identified real-time, and costs are minimized. Prepare your servicing team to meet the disaster relief challenge with operational prowess and technical innovation. Visit eClarifire.com today or contact us directly at 866-222-3370 to learn more. Let us show you how to future-proof your organization with CLARIFIRE®.